Bahnstorming - The History of the Autobahn. It brings a tear to the eye of a well trained driver when looking at what speed limits this country has considering what appears to be a driver’s dream. The autobahn. These mainly German based highways are seen as the pinnacle of safe driving. 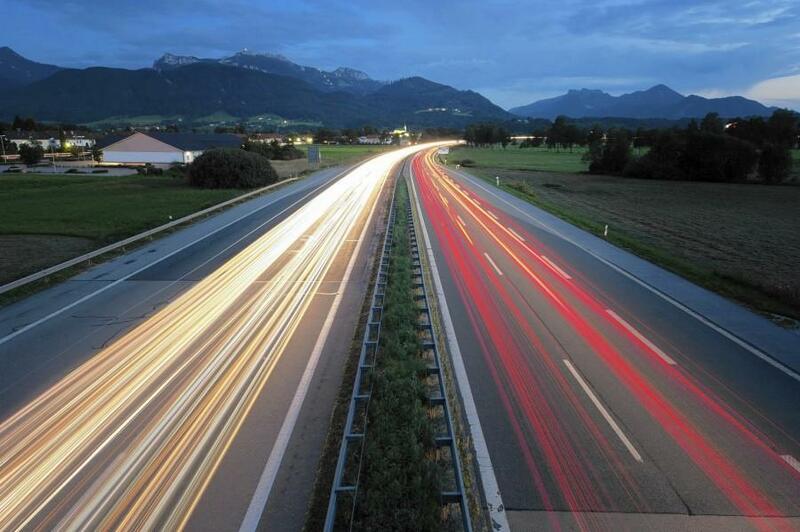 The official name for the autobahn is Bundesautobahn, or, when translated into English, Federal Motorway. To many it means unrestricted speed, no speed limits, and that is true. The caveat is not everywhere can this be done. If an autobahn is in an urbanised area, or has road conditions that simply aren’t safety conducive, then limits are imposed, and stringently enforced. But on sections that are not specifically restricted, the German government has an “advisory” speed or Richtgeschwindigkeit of 81 miles per hour, or about 130 kilometres per hour. As there is no official limit any car driven in excess of these speeds is not seen as doing anything illegal. However should something occur, it appears the court system would look at the driver’s ability and weigh up this ability in judging the liability. The idea for an autobahn goes back to the 1920s and was raised during the pre Hitler regime. There’s no clear information as to where the idea came from on a personal level however. What is known is that construction began in 1929 on a section of road between the cities of Bonn and Cologne. Construction was beset by issues and did not progress at a great pace. When Adolph Hitler assumed power as Chancellor of the Third Reich in 1933, he took the program over, claiming it for his own. "We are setting up a program," he said later that year, "the execution of which we do not want to leave to posterity." It was also noted by American visitors to Germany in the early 1990s that the autobahns were built before there really appeared to be enough vehicles to justify the expense. However they did form the first high speed limited access highway network in the world. This ran from Frankfurt am Main to Darmstadt, in the south west of the country. This piece of road was also used for land speed record attempts by two F1 teams of the time, Mercedes-Benz and Auto Union, including one record of 432 kilometres per hour. In 2016 the German autobahn network covered 13,000 kilometres and is regarded as the most densely set highway system of its type in the world. Follow ATE on social media for our latest news.